They say that diamonds are forever . Indeed they are, and unfortunately sometimes they last longer our love. When it happens, we decide to sell a diamond ring and move on. 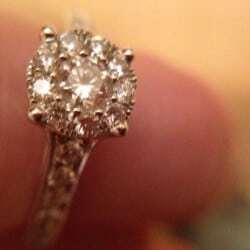 What you need to know to successfully sell diamonds you and get the most money for it? Where should you look and what documents do you need ? When you want to sell your diamond ring , you probably think of several options: a store cash for gold nearby, your local jeweler , an auction such as eBay or one of the jewelry buyers online. We will try to weigh the pros and cons thereof . We will also discuss the certificates and documents you need to make the most money for your room . A diamond ring is a very expensive item , and the amount of money you could get to it from various sources may differ a huge amount ! You must be careful . 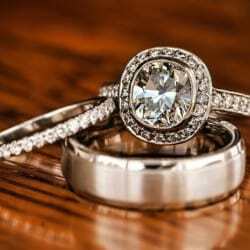 In addition , we must keep in mind that women tend to form a strong emotional bond with their diamond rings - an engagement ring is a new romantic beginning of a lifelong union . And it is difficult to believe that our new engagement ring is a symbol of the previous relationship someone else has failed . 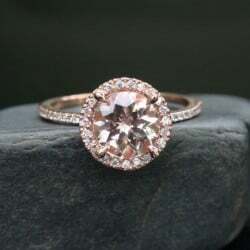 We all want a new , not a used engagement ring , so it will be difficult to resell yours exactly the same value as another. When you bring your ring to a local jeweler, it will be difficult for him to sell the ring in a small community. Store as cash-for- gold and jewelery have a relatively small market. They are trying to earn a living and pay their staff , based on a relatively low turnover. With fewer customers willing to buy their products , how to survive is to increase the profit margin. This means that you get less . You can certainly visit them and ask for their offer, but try to avoid an immediate commitment and do a little more research. eBay is a great platform to sell rings for their qualities. The problem for you is that eBay is not only popular with customers but also with experienced jewelry stores , who are experts in the sale of these items. Their top seller, brilliant descriptions and free shipping, it will be difficult for you as an individual to compete for the attention of buyers and also beat their price. Although it may be difficult , but if you have more time you can always try . 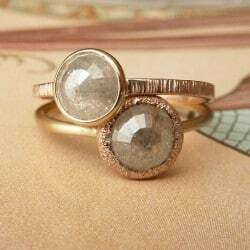 There are also ways to sell your ring on consignment - there are a lot of advertisements online and in local newspapers for jewelers who want to do it for you . But you should remember to be extremely careful . It is not only the risk of a lot less money than expected, but also clearly wrong. Do not send your diamond to them until you are sure they have a business license with the Office of Consumer Affairs , a great reputation and at least several years on the market. Check if your buyer is a member of Jewelers Vigilance Committee - this will increase the chance of an honest and transparent agreement. One very important thing for you to have a diamond certificate . GIA ( Gemological Institute of America ) paper significantly affect the sale value of your diamond. In fact , very few reputable jewelers are willing to pay a good price for a diamond without document. If you do not have one, I suggest you ask. Submitting your diamond GIA certification is safe, reliable and not too expensive - they usually charge less than $ 150 per carat. You can learn more about reports and services www.gia.edu diamonds on their site. Another agency , you can meet GIA 's ( Gemological Laboratory European offices in the United States).